If you have a bond portfolio, you should understand the differences between duration and maturity. 1. Do Longer-Duration Bonds Have More Convexity? Duration and maturity are key concepts that apply to bond investments. 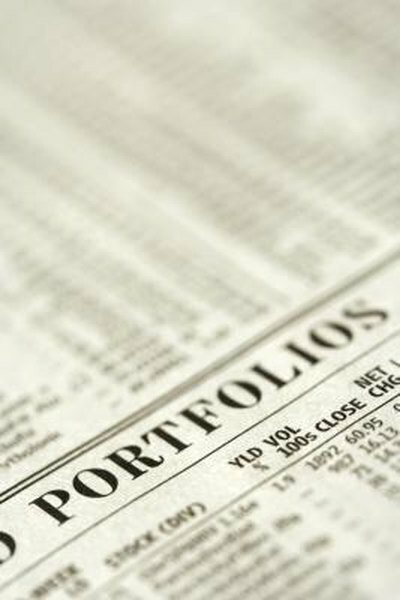 Effective duration and average maturity apply if you have a portfolio consisting of several bonds. While maturity refers to when a bond expires, or matures, duration is a measure of the bond's price sensitivity to changes in interest rates. While the two concepts are related, they also differ significantly. When investing in bonds, this distinction is critical to grasp. Unlike stocks, bonds come with expiration dates -- they mature. A bond issued in 2000 and maturing in 2020, for instance, will make annual coupon payments for 20 years. The issuing entity will repay the principal, which is the the original issue price of the bond, along with the final interest payment in 2020. If such a bond was issued for $100 and pays $10 in interest every year, the bondholder would receive her final $10 in interest along with her original $100 -- or $110 in total -- when she submits the expired bond to the issuer in 2020. While such a bond will have a 20-year maturity at the time of issuance, this figure will decline as the years pass. For example, in 2012, the bond's maturity will only be eight years out. The yield and price of a bond always move inversely. The higher the yield, the lower the price, and vice versa. The bond in our example yields 10 percent at the time of issuance; the original investment of $100 buys the investor an income of $10 per year. If the bond changes hands at a lower price thereafter, the yield will increase. For example, an investor purchasing such a bond at $50 will still receive $10 per year, corresponding to 20 percent of his investment. However, the yield on the bond when bought for $50 is even higher than 20 percent, because the investor is also getting an excellent deal upon expiration, when he will return the bond and get paid $100, doubling his money. Effective duration refers to the expected decline in a bond's price in response to an increase in its yield. While the price of a bond will decline as its yield goes up, regardless of the bond's maturity or coupon, the extent of this decline varies greatly. Effective duration measures how many percentage points the price of the bond will decline if the yield advances by 1 percent. Effective duration is related to the maturity of the bond. The longer the bond's maturity, the greater its duration. However, the duration is always a smaller number than the maturity. If a bond has 10 years to maturity, its duration may be six or seven, for example, but it will not be 10. The average maturity of a bond portfolio equals the weighted average maturities of all the bonds in it. If you have three bonds with maturities of 12, 14 and 20 years and their values make up 25, 35 and 40 percent of the portfolio respectively, the average maturity of the bond portfolio is 12 x 25 percent + 14 x 35 percent + 20 x 40 percent, or 15.9 years. The same formula applies to effective duration. So if the effective durations were six, nine and 11, the effective duration of the portfolio equals 6 x 25 percent +9 x 35 percent +11 times 40 percent, or 9.05. In simpler terms, on average, the bonds in the portfolio will mature in 15.9 years. If the yields were to increase by 1 percent on each on these three bonds, the portfolio's value would decline by 9.05 percent.